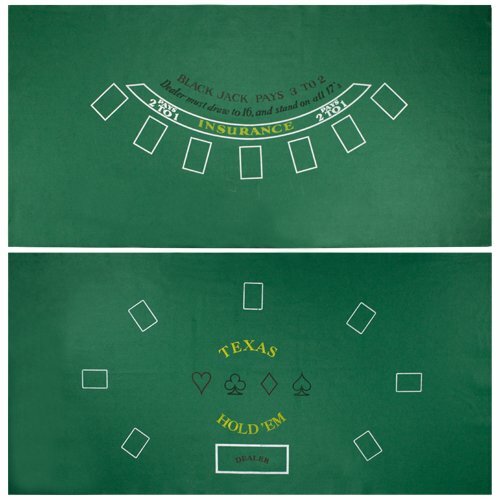 Strike a lucky 21 with our Blackjack Table Cover. 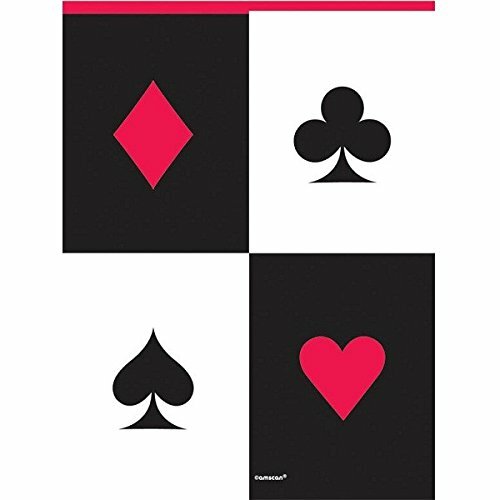 The perfect game activity to keep your party guests busy to any game night or casino theme party. 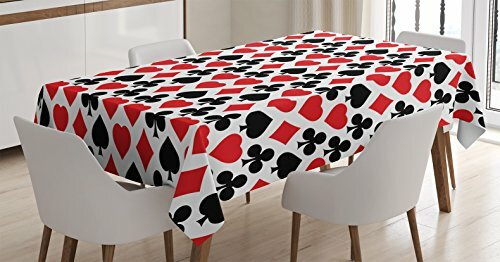 Poker Night Plastic Tablecloth, 84" x 54"
Kick off poker night with a tasty selection of treats displayed on this festive Poker Night Plastic Tablecloth. 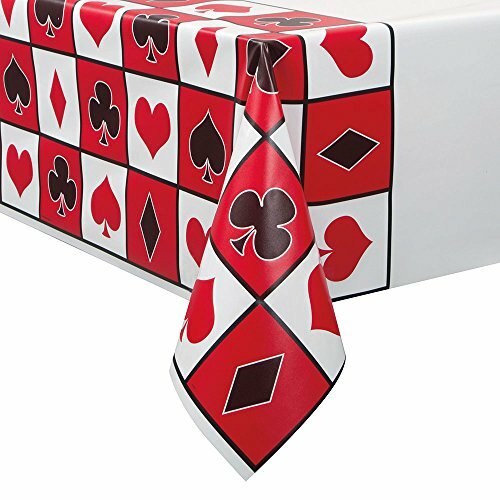 Adorned with hearts, clubs, diamonds, and spades, this red and black table cover will make a bold statement on top of any party table at any casino night, Vegas themed party, or even an Alice in Wonderland tea party. 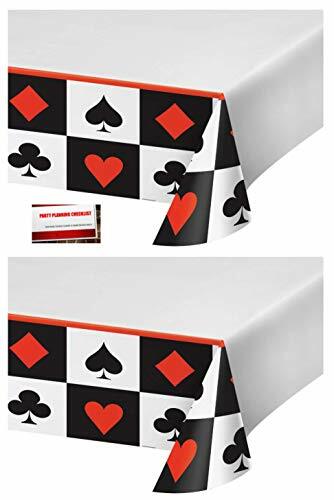 Simply drape the plastic cover over any type of table before loading it up with trays of snacks and decorative centerpieces. 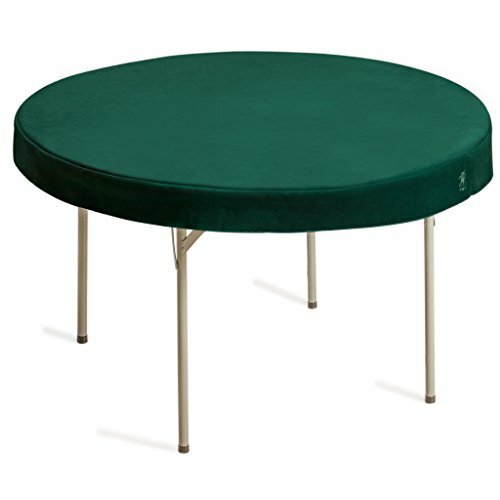 At Yellow Mountain Imports, we offer the highest quality materials and attention to detail.Quality Material: Made of resilient, durable, felt consisting of a blend of synthetic fiber and wool, this table cover will not ravel nor fray. 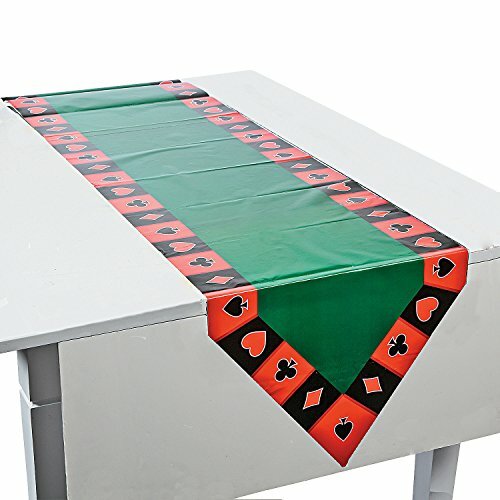 It folds easily for convenient storage.Functional Design: Featuring an apron that fits over the table edges, this table cover ensures a secure playing surface. 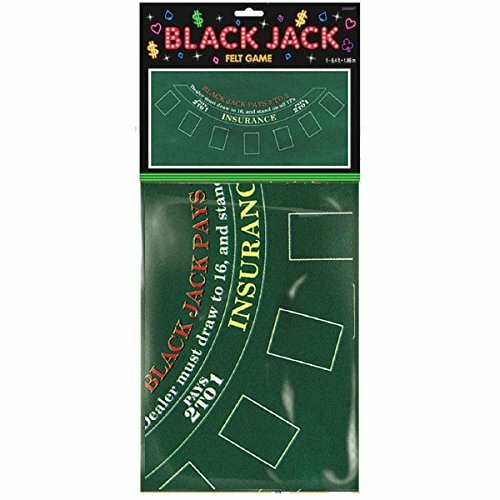 It makes any round table of the same size as the table cover a professional-grade playing table for all card, tile, dice, and board games.30-Day Return Policy: Here, at Yellow Mountain Imports, we stand behind our product. And with this level of quality, we are confident that you will not want to return it. 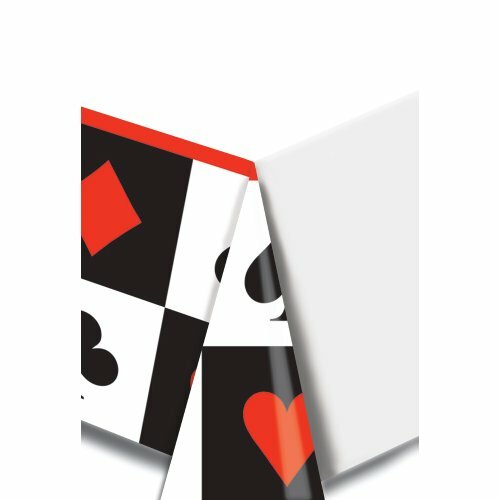 If for any reason, however, you would like to return it, you can take advantage of our 30-day return policy.Buy with confidence. 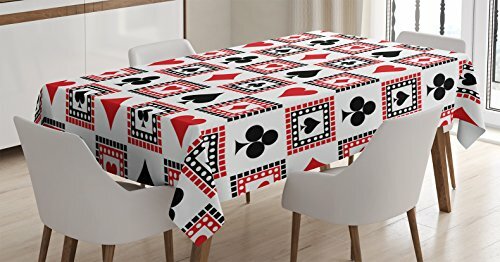 (3 Pack) Plastic Casino Party Table Cover, 84" x 54"
Club Pack of 12 Casino Rectangle Tablecovers 54" x 108"
poker felt table cover - Poker Texas Hold Em' Large kitchen table size 80 by 50"